Board our power cat for an exciting snorkeling excursion with Chico's to the southern shores of Bahia de Banderas where the rugged islands of Los Arcos rise high above the surface of the water. These visually-striking islands are a federally-protected preserve for marine birds, including nesting grounds for the endangered species, the blue-footed booby. 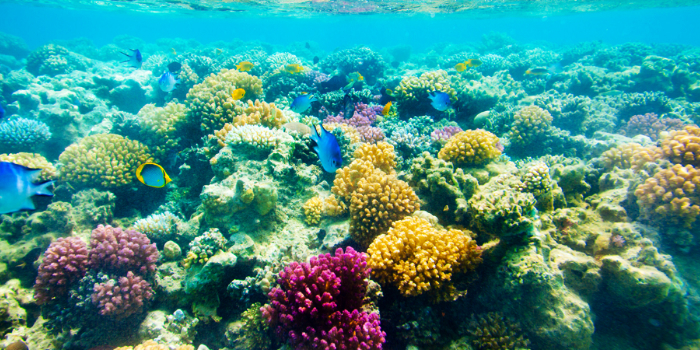 Below the surface of the serene water, a host of exotic marine life thrives along the rocky structures. Once you enter the warm waters to witness the fabulous aquatic environment surrounding these towering islands, you will immediately be struck by the clear visibility; Bahia de Banderas is a massive body of water, but it is sheltered from the Pacific winds and tumultuous currents the ocean. The sheer rocky cliffs that ascend far above the water also descend deep into the water, providing shelter for an spectacular array of aquatic species, including corals, manta rays, sponges, morays, brightly-colored tropical fish, mollusks, and crustaceans. You will be dazzled by this undersea paradise brimming with life. Chico's has established an unparalleled standard for providing snorkeling and diving tours from Marina Vallarta for over forty-two years. We are proud of our extensive record of unsurpassed safety and supreme service; Chico's supplies vacationers with the finest possible snorkeling adventures offered in Puerto Vallarta. We provide current, scrupulously maintained equipment, a fully-customized dive craft with an on-board head, and PADI-sanctioned divemasters for guides. Our English-speaking staff will provide guidance and security for all snorkelers. 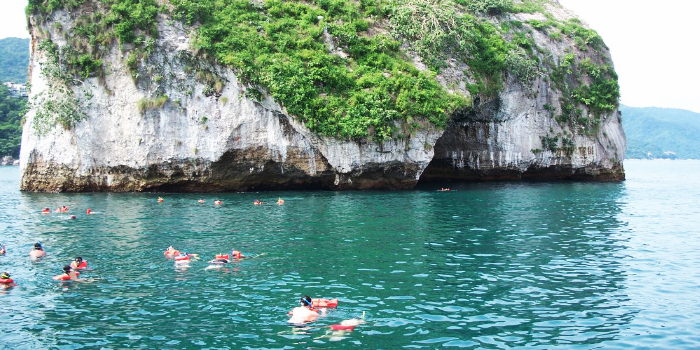 We offer this fun-filled snorkeling trip to Los Arcos two times per day; even the fullest vacation itineraries can be accommodated, even brief cruise stop-overs. Our forty-two-foot motorized catamaran provides ample room to relax. We supply our guests with snacks, beverages, and bottled water on this trip. In addition to snorkeling, you can decide to go kayaking around the islands of this nature sanctuary or sunbathe on a raft. If some members of your group are certified scuba divers, they can choose to scuba for a different fee while others snorkel. I have been to the Bahamas many times, but Arcos Snorkel Expedition is one of my favorite trips! It includes everything that everyone should do here. As a Bahamas veteran, I can say only the best about this experience!